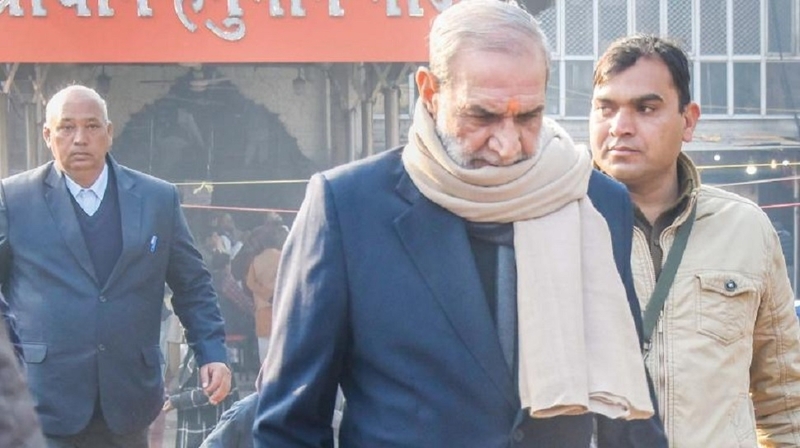 A KEY prosecution witness in a 1984 anti-Sikh riots case told a Delhi court on Thursday that Sajjan Kumar had instigated the mob to kill Sikhs. The witness, Joginder Singh, also identified Kumar, who was present before District Judge Poonam A Bamba, as the person who instigated the mob. “When I went to lodge FIR,the policehaddeniedtonameSajjan Kumar in the FIR. Sajjan Kumar the person who leading the mob and provoking them,” the witness said in his statement while being examined by advocate Tarannum Cheema, appearing for the prosecution. Joginder Singh had lost his brother in the riots. The court has now posted the matterforApril9forfurther proceedings in the case. Earlier, two other key prosecution witnesses -- Cham Kaur andSheelaKaur--hadidentified Kumar as the one who had instigated the mob in Sultanpuri. The case was transferred from Karkardooma court to Patiala House court here by the Delhi High Court, which directed the district judge to video recordtheproceedingsatthecost of the accused. Kumar andtwoother accused, Brahmanand Gupta and Ved Prakash, had said that they were ready to bearthe expenses ofthe videography of proceedings. The three accused are facing trial on charges of murder and rioting in the case pertaining to killing of Surjit Singh in Sultanpuri.